Recently Coastal Accents traveled to Atlanta for market and came back with plenty of goodies for our store and our customers! 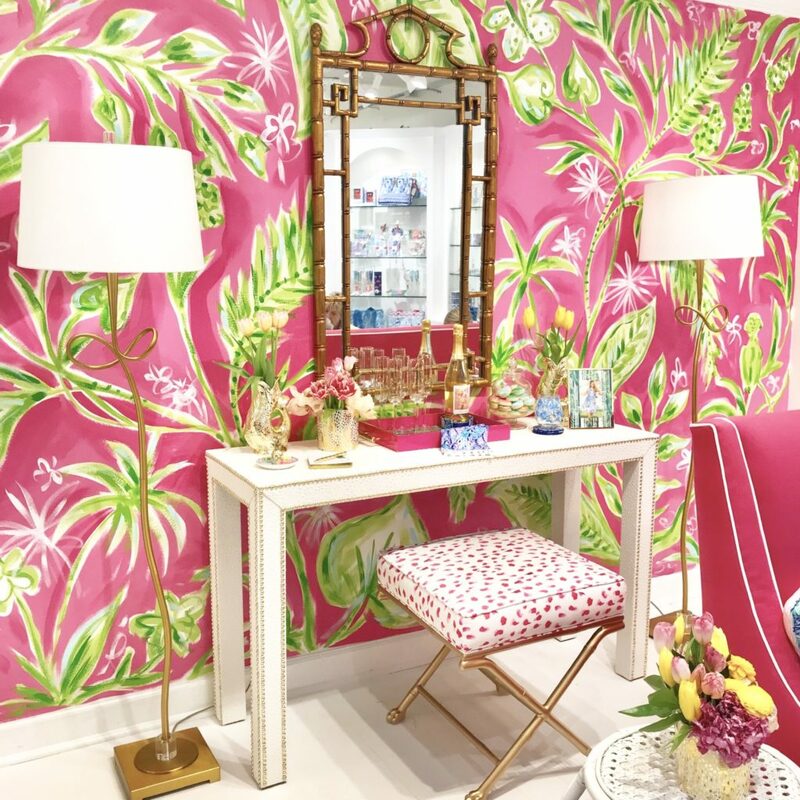 The days were long and involved lots of walking and plenty of coffee, but there was plenty of “ooohhhhing” and “aaahhhing” over the beautiful home decor pieces, furniture, accessories, and gifts. Take a peek! You might see a few of the items from the photographs of our trip in our store soon! The bright pink and green…they are so fresh and fun! And let’s be honest, who wouldn’t love the little X stool to provide extra seating in their house. 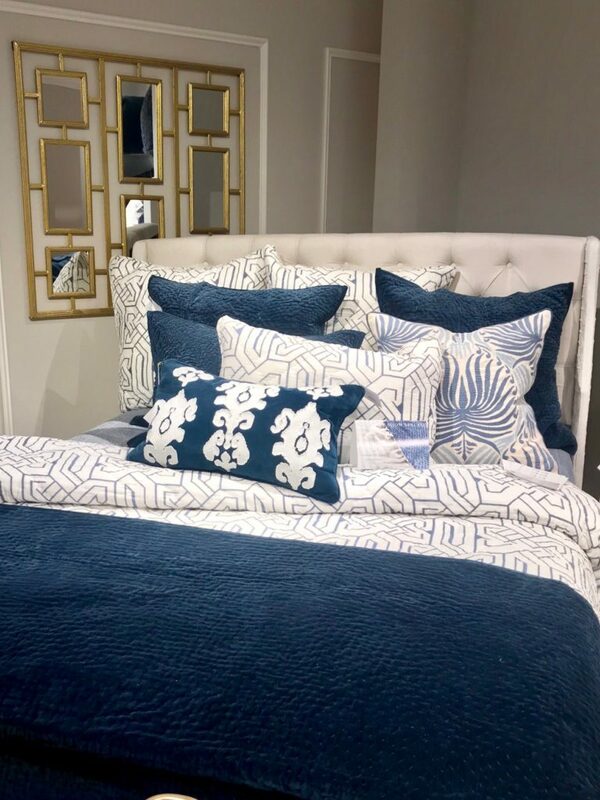 Navy always will be a “go to” color for any bedroom. The patterns may change but navy is always fresh and calming in any space. 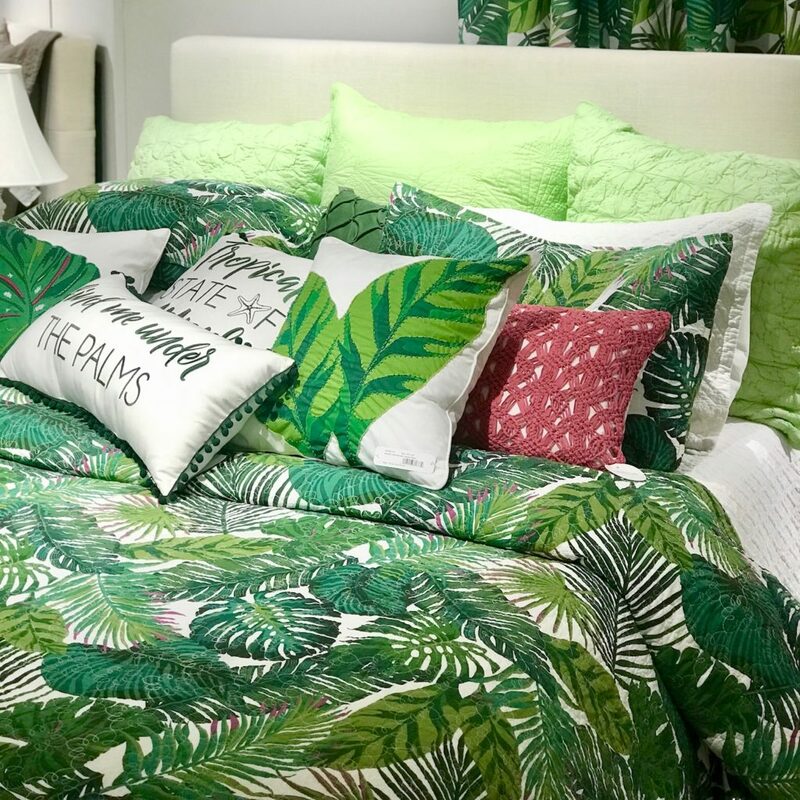 A beach house can definitely handle a bed full of palms! Greens of all shades were hot this season at Market. Look for this bedding to be in our store soon! Sometimes an interesting furniture piece is just what a room needs. 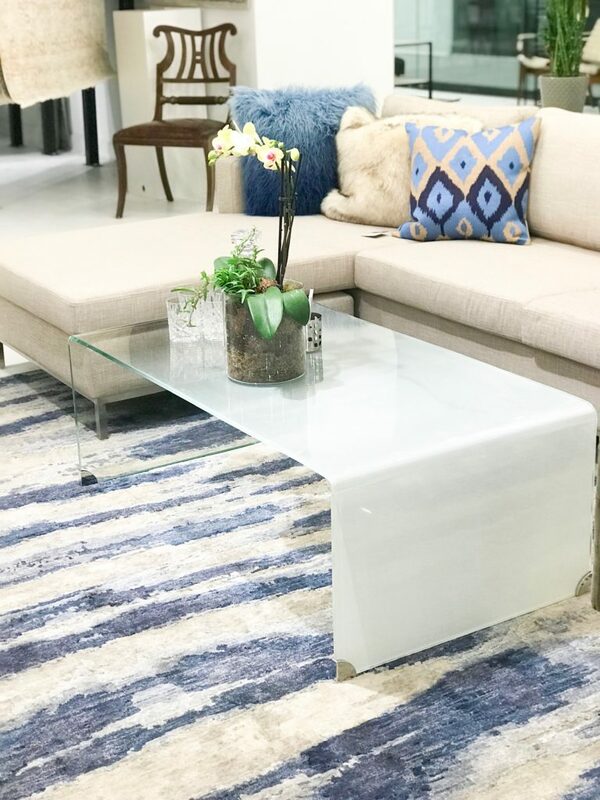 This ombre glass table is unique and speaks volumes about the space but in a very soft voice.